Borosilicate glass 3.3 pipeline components are widely used in chemical, pharmaceutical and allied industries together with other applications such as food and drugs, dye production and electroplating industries. This is because of the special properties of borosilicate glass 3.3. Feed pipe directs the process fluid to the centre of the column. With aid of advanced machines and tools, we have been able to come up with Sockets Full Length Single. Optimum quality raw material is procured from the most reputed vendors of the market to manufacture these sockets in-sync with set industry standards and norms. WE ARE LOOKING ENQUIRIES FROM KARNATAKA ONLY. We are the most sought after company when it comes to requirements of Industrial Glassware. The product range is manufactured using optimum quality material. 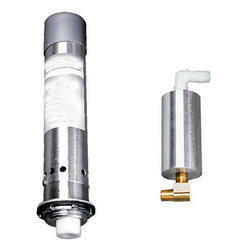 Moreover, it matches the DIN standards, and is widely used in full view assembly. 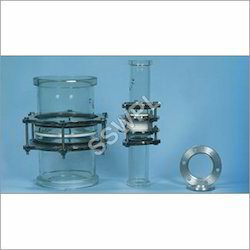 We provide glass plant for perfumery and solvent. We provide Glass Plant of 500 L capacity.